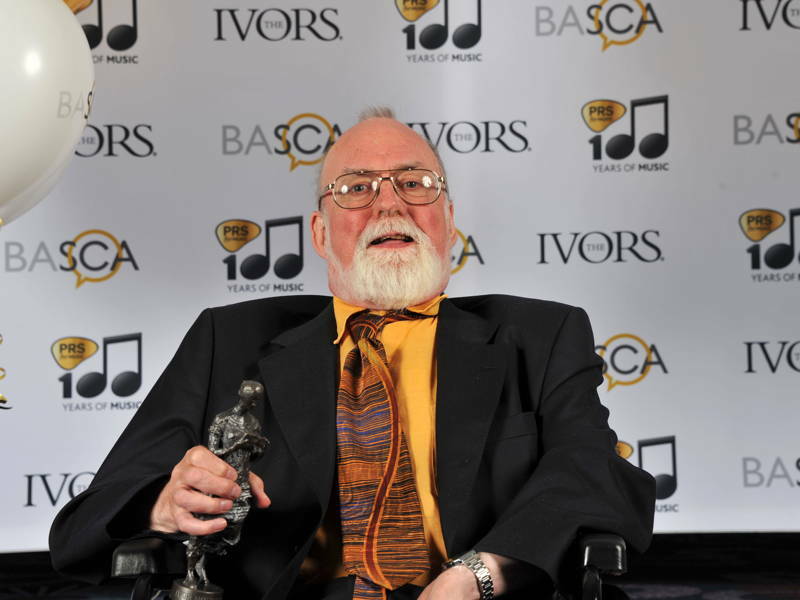 The 2014 Ivors Award for Classical Music was presented to John McCabe at a glitzy ceremony at London’s Grosvenor House, on 22nd May 2014. The heavy bronze statuette was handed to him by Christopher Gunning, well-known for his TV and film music, including Poirot, but now also with much serious music to his credit, including seven symphonies. 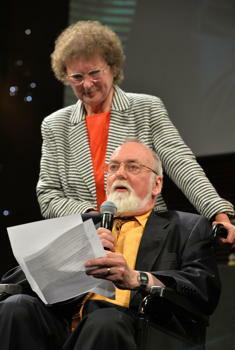 Despite his illness, John was able to make an acceptance speech at the ceremony, and was rewarded by a standing ovation. Many well-known names from the world of Pop were at the event, which is largely connected with that industry. Previous recipients of the Classical Award include Sir Peter Maxwell Davies, Sir Harrison Birtwistle, Sir John Tavener, and Michael Nyman. McCabe is still busy composing, despite medical problems and treatment, and is currently finishing a short choral work for the Hallé Choir (double choir/organ) , to be premiered later this year, and he is hopeful to go on to write other works also.